TAIPEI, Taiwan—A former top designer at Taiwanese smartphone maker HTC was recently convicted for executing a scheme to steal trade secrets from his employer and team up with Chinese state-owned firms to start a new company based on the stolen information. Thomas Chien, who was both top designer and vice president of the company’s product design department, was sentenced to seven years and 10 months in prison by the Taipei District Court, according to an April 11 article by Taiwan’s daily newspaper Liberty Times. Chien was found to have violated the island’s Securities and Exchange Act and Trade Secrets Act. The court, however, didn’t find him guilty of the charge of money laundering. Taipei’s prosecutor’s office began an investigation against Chien and other HTC executives in 2013, after the Taiwanese smartphone maker filed charges against them that same year. According to Taiwanese media, the prosecutors found that Chien stole HTC’s smartphone icon interface design and other proprietary technologies and passed these company secrets to his mainland Chinese partners, with the goal of eventually forming their own mobile phone design company in China. Ultimately, they didn’t succeed in carrying out those plans. Multiple Taiwanese media reported that Chien’s Chinese partners were unidentified state-owned companies with connections to the Chengdu municipal government in southwestern China’s Sichuan Province. 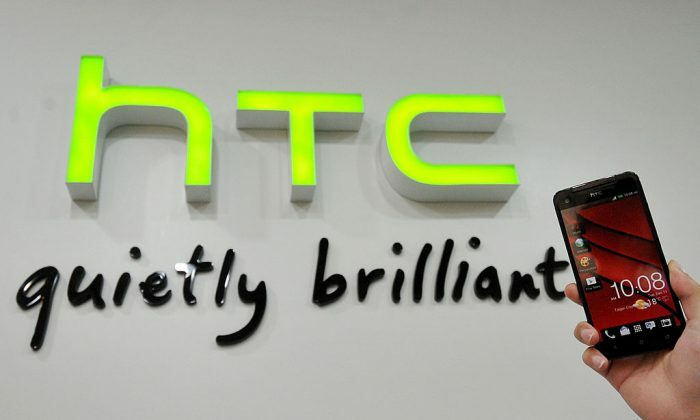 Chien recruited five fellow HTC employees—all Taiwanese nationals—for his efforts, including Wu Chien-hung, a product design section leader; Justin Huang, and Huang Hung-yi, both senior managers of design and innovation; and Hung Chung-yi, manager at the manufacturing design department. Wu was sentenced to two years in prison, with a reprieve of five years, according to Liberty Times. Both Huangs and Hung were given prison sentences ranging from four months to a year and six months. Prosecutors also found that Chien and Wu concocted a scheme to raise money for the future Chinese company: they had HTC suppliers provide them with forged receipts for fake transactions. After HTC paid the bills to the suppliers based on the faked receipts, suppliers allegedly would provide kickbacks to Chien, Wu, and others. Chien’s illicit earnings of about 6.82 million New Taiwan Dollars (about $221,100) were confiscated by Taiwan authorities. In the 2013 investigation, authorities found 3 million New Taiwan Dollars (about $97,260) in cash at Chien’s home, and another 7.8 million New Taiwan Dollars (about $252,870) in cash in his Audi vehicle. Wu’s 7.7 million New Taiwan Dollars (about $249,600) in illicit earnings were confiscated. In total, prosecutors found that Chien and others received a total of 33.56 million New Taiwan Dollars in kickbacks from the suppliers. Three people working at the supplier companies were also given prison terms, according to Liberty Times. As China seeks to turn itself into a high-tech manufacturing powerhouse, it’s sought to poach tech engineers and other talents from Taiwan, home to many top tech manufacturers. In recent years, Taiwanese authorities have prosecuted several incidences of intellectual property theft involving Taiwanese nationals and Chinese companies. Two of these incidences involved Taiwan Semiconductor Manufacturing Corp. (TSMC), the world’s largest contract chipmaker, in 2018. In April, a former TSMC engineer with the surname Wu, was arrested before he could hand over TSMC documents detailing proprietary technology to his new employer in China. In September last year, another former TSMC employee identified only by his surname Zhao, was charged with breach of trust and theft of trade secrets, with the intention of transferring them to a mainland Chinese firm. Zhao was an engineer in charge of a metal gate manufacturing process, one of the key production steps in building semiconductor integrated circuit (IC) chips. China’s domestic industry still lags on the latest technology for manufacturing the most advanced semiconductors—hence its focus on recruiting from Taiwan. According to a July 2018 article by Taiwan’s leading financial publication Business Weekly, which cited data from unidentified headhunting companies and estimates by semiconductor experts, there are about 2,000 Taiwanese staffers at Chinese semiconductor companies in mainland China. Additionally, there are about another 1,000 Taiwanese working at Taiwan branch offices of Chinese companies. Most of these 3,000 Taiwanese talents either hold senior positions or are research and development staff, according to Business Weekly.